Say goodbye to the plain old brown bag and hello to a whole new generation of lunchboxes that make it fun and stylish to tote around a healthy lunch. These cute lunchboxes get high marks for not only for their kid friendly style, but for their usability – they’re easy for kids to open and close, pack, and clean – as well as keeping things hot or cold. Send your little one’s lunch or snack to school in style with an adorably designed Stephen Joseph Lunchbox. Each box is durably constructed and fully insulated to keep their food at the right temperature until they’re ready to eat. This brightly colored, soft vinyl Stephen Joseph Lunchbox features a Velcro strap to hold their drink in place, a front zipper pouch that’s great for personalizing with a monogram or name, and an inner mesh pocket to make it easy to spot and reclaim in the dreaded lost and found. Perfect for the tween or teen in your home, the Container Store’s Gourmet Getaway Tote accommodates many shapes and sizes of food and beverage containers, keeping them warm or cool. The tote is made from insulating neoprene and features a gusseted base that allows the tote to stand upright. 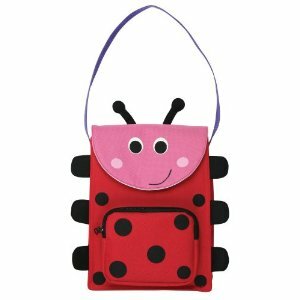 The convenient handles make for easy transport and the zippered closure makes sure something doesn’t get misplaced on the way to school. 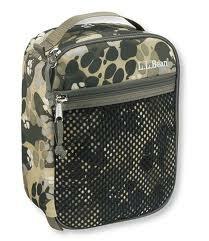 Keep the fruit from bruising and the sandwiches cool in a sturdy lunchbox from L.L. Bean. The lining is easy to clean and the internal mesh pocket is sized to hold a cold pack. This ultra-cool lunchbox is made from the same tough packcloth used in L.L. Bean’s signature book packs and the compact size fits easily into backpacks. The Goodbyn from LunchBoxes.com is a plastic lunchbox that comes in 3 different color variations. 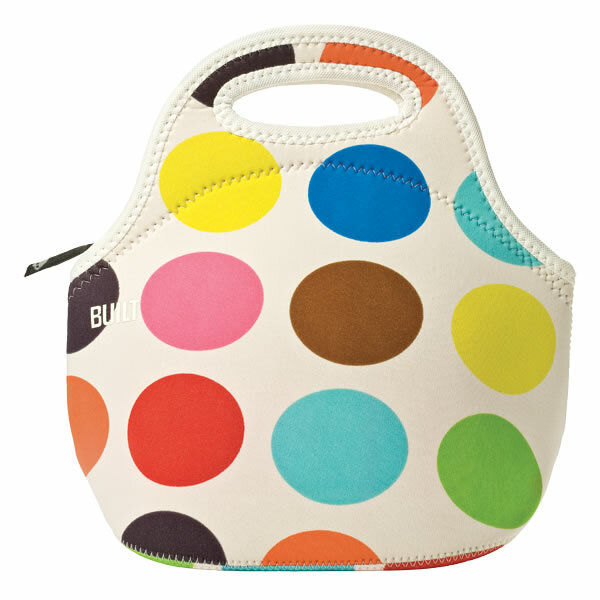 Each has five perfectly sized built-in compartments to keep kids’ lunches from spilling, sloshing, or mixing. Each lunchbox can be individually and creatively customized for its unique owner and comes with more than 275 stickers, including letters. It can be easily washed by hand, and is dishwasher safe. The lunchbox measures about 12 inches tall, 8.5 inches wide, and about 3 inches deep at the center. 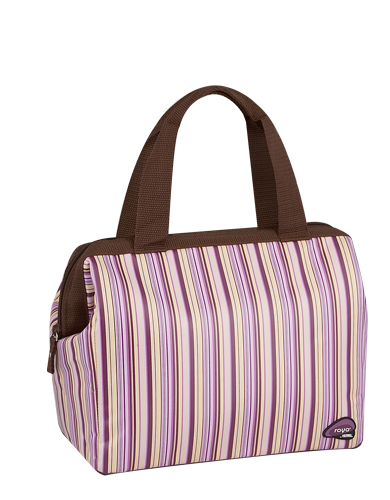 Put a new spin on the duffel with this so cool lunch duffel from Thermos. The IsoTec™ layered insulation structure provides superior cold retention and includes heat sealed, leak proof PEVA lining. The bonus is that it is sized to fit most frozen entrees (in case mom needs to borrow it for work) and has an extra wide top for loading large containers. It’s super easy to care for because it’s made of nylon and polyester. SIGG’s aluminum maxi boxes are the ideal lunch box for rough and tumble kids. 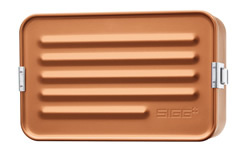 They are highly durable and leak-proof thanks to the locking top and rubber seal. They’re a great option for kids who tote their lunch box in their backpack as their hard-side construction keeps delicate sandwich bread and bananas safe from treacherous textbooks! Healthy meets style with these super cute lunchboxes for kids going off to school.